When your arms are exhausted from scrubbing and scouring but the surface you are trying to clean remains stained, it is time for professional pressure washing services. Alliance, OH residents do not need to make do with detergents and strong chemicals anymore. All it takes is to call the experts in pressure washing services in Alliance, OH. 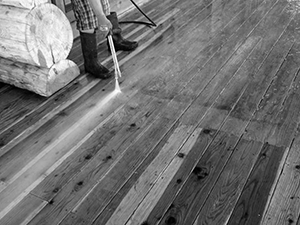 At Wilhelm Power Washing Services, we have more than 45 years of experience under our belt. Clients trust us for power and pressure washing services. Alliance, OH is one of the areas we serve. Our capability has been refined since we started offering our power and pressure washing services in Alliance, OH in Stark County, along with Summit and Portage Counties in 1973. Our technicians efficiently do pressure washing in Alliance, Ohio. Our specialists for pressure washing in Alliance, OH are driven by the passion for excellent service. Our technicians go out of their way to satisfy our clients’ needs. Aside from our pressure washing in Alliance, OH, our technicians also apply paint, putty, caulking, primer among others. We give discounts to senior citizens for our pressure washing services in Alliance, Ohio! Fees for our pressure washing services in Alliance, Ohio are reasonable and competitive. Our pressure washing cleaning in Alliance, Ohio help maximize the beauty of your home! You Might Ask, What Are the Uses of Our Pressure Washing Services in Alliance, Ohio? Here are five examples. Our pressure washing cleaning in Alliance, OH helps your home’s exterior look as good as new. A house looks so much better when it is clean from pressure washer cleaning. This is why our clients for pressure washing services in Alliance, OH trust us to maintain the spotless appearance of any exterior surface like vinyl or brick. Our pressure washing services in Alliance, OH maintains the appearance of stairs and walkways in your front entrance. Coming home to clean front entrance stairs helps you feel lighter after a tiring day at work. Accumulated dirt and stains cannot be removed by scouring them with bleach. Fortunately, our pressure washing cleaning in Alliance, OH can do the trick. Also, any realtor would advise you how important your front yard is when assessing the value of your home. Our pressure washing services in Alliance, OH then essentially helps you upturn the value of your property. Our pressure washing services in Alliance, OH can help bring back the attractive form of your patio. Your patio is an ideal place to entertain guests, especially during summer. However, hanging out or hosting barbecue parties frequently in your yard can effectively wear out your patio over time. Bring back its appeal with the help of our pressure washing services in Alliance, OH! Our pressure washing services in Alliance, OH efficiently cleans outdoor furniture. Make your plastic, vinyl, or wood patio furniture look good as new with the help of our pressure washing services in Alliance, OH! We promise you’ll enjoy hanging out in your patio even more! Our pressure washing company in Alliance, Ohio will deep-clean your driveway and garage floors. A clean and maintained driveway enhances the appearance of your curb. However, constant contact with your car’s muddy wheels makes your driveway and garage dirty. Call us for pressure washing services in Alliance, Ohio and we will make your driveway and your garage sparkle with cleanliness. Let our pressure washing specialists in Alliance, OH help you make your house look brand new! Contact us at 330-477-7094 or 330-323-7466. You can call up to 11:00 PM to request an estimate for our pressure washing services. Since 1973, Wilhelm Power Washing has been providing expert power washing and house painting services to both residential and commercial clients in Northeast OH. Our dedicated staff has more than 40 years of combined experience. With pressure washing, all the dirt and grime on your property will be washed away. Using high pressure water blasts, heat, and soap, we can make your home look brand new. We don’t use just any soap, either; we utilize a safe, environmentally friendly, and biodegradable cleaning solution that not only removes stubborn stains but also keeps mold from returning! For example, first-time customers get 10% off any of our services. Every pressure washing job that goes over $750 gets free power edging of driveways and sidewalks! Senior citizens get discounts on whatever service they hire us for.